Shiny and awesome! These aren't your typical lightweights. These seriously hefty all-metal dice are made from a solid zinc alloy and finished with bright, light-catching translucent numbers so they're as easy to read as they are fun to throw! These beautiful metal dice are numbered in "countdown" fashion so it's easy to find the number you're looking for. Make great scoring counters! 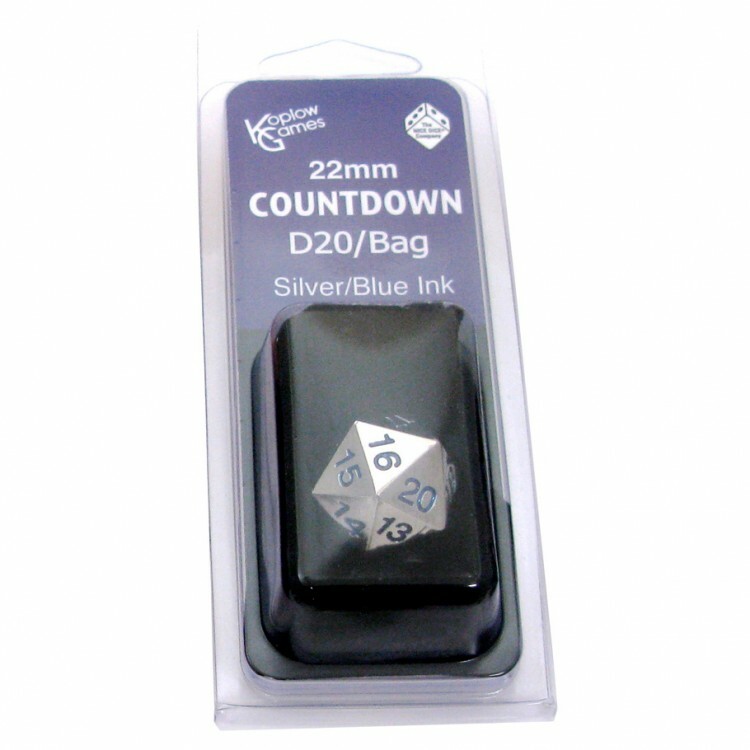 Metal Countdown D20 Dice are also available with a small black storage pouch in a peg-able display box.